Haryanvi hot singer and dancer Sapna Choudhary, who is known for her energetic stage performances, has always managed to mesmerised her fans with her incredible dance moves. Recently, Sapna took to Instagram to share her pictures and videos from her latest stage show where she can be seen dancing her heart out in a red kameez- salwar. In her latest pictures, she can be seen flaunting her thumkas with bindaas moves. The Anarkali of Haryana has teamed up her look with subtle makeup and hair neatly pulled back. The video shows immense crowd cheering and hooting for her as she performs on the stage. Sapna has gained popularity after her appearance, in the reality show Big Boss 11. Sapna is also active on social media and keeps treating her fans with her pictures and video. While sharing the pictures, she wrote, “Focus is the key! ❤️ #events #performance #bollywood#sapnachoudhary #red #desiqueen #artist”. 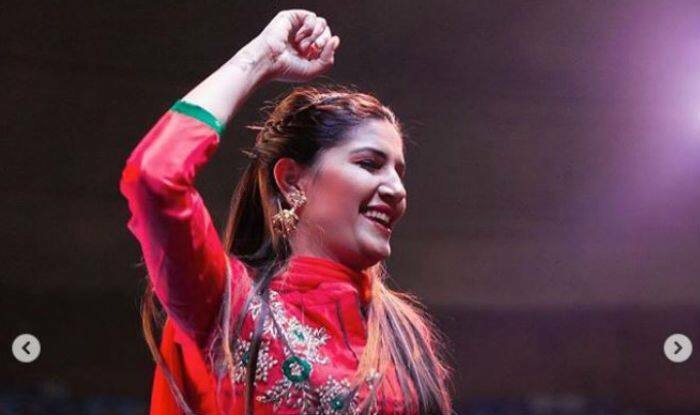 She even shared a video from the same event where Sapna can be seen dancing to her popular number ‘Tere Thumke Sapna Choudhary’. Sapna Choudhary enjoys a huge fan following and became the third most searched personality of 2018, leaving behind many Bollywood superstars. Already popular in Haryana, Sapna shot to fame post her stint in Bigg Boss where she impressed everyone with her dancing skills and even performed well in tasks. Though she couldn’t win the show, her experience gave a boost to her fans.